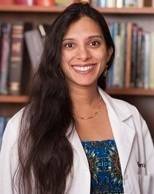 Payel Banik DO here, dually board certified physician, and a guest on the whole mother radio show. I am in the enviable position of my peers for having a private practice where I can spend a full hour with new patients every day to provide proactive holistic healthcare. Every week I treat many newborns and children and hear about the joys of parenthood — and more often — parents and other physicians that never knew viable scientific evidenced based holistic manual medicine existed to treat patients. As an Osteopathic Physician I’ve seen the full gamut of newborns and children: patients that were treated with osteopathy as a child, wonderful people that have no idea what osteopathy is, and others that were referred by another physician, friend or family member (sometimes with a limited understanding). I’ve treated the skeptics, believers, and everything in between. Thankfully the treatments can work even if the person is skeptical! You can check out the reviews on Facebook or Yelp. As a physician and a parent I have seen it all when it comes to treating and handling our most precious gifts in this world, our children. Not very long ago, many of our patients were in the same place you may be right now. They had no idea where to start finding credible holistic care, and use mainstream medicine as a last resort. Most of them didn’t even know what osteopathy was! These people are no different than you. They felt skeptical, overwhelmed by options that promised the moon, and had no idea what to do next. How many of us have gotten stuck searching for what we believe is the best holistic healthcare for our child? We all know that WIFI can’t be seen; however, it allows us to connect, learn from, and communicate with the outside world. Osteopaths in the United States are like MD’s, classically trained physicians; however, we also get training starting in medical school using our hands. The goal is to find the health in the patients based upon a deep and continual understanding of anatomy and physiology. Like WIFI, This deep understanding of the human functioning can be seen by trained osteopaths. While the normal person might not be aware of the laws behind it, rest assured the “human wifi” is always on and our specialty is trained to notice the subtleties. Like a foreign language, this skill must continually be practiced or else it gets forgotten. I personally have 20,000 hours of direct patient care prior to opening my practice, delivered over 100 babies while in training, and have a unique perspective as a mom as well. I invite you to learn more about the different conditions we can assist newborns and children with by using just our hands. For the skeptics, feel free to look at the published peer reviewed journal articles documenting the scientific details. I want you to be educated and have cross referenced all my claims on this website for your ease.